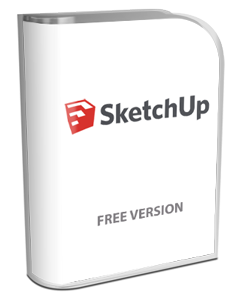 Download your free versions of SketchUp, a great tool for setting up your projects in a complex 3D environment, and also DraftSight, a professional 2D CAD solution. Both complement Polyboard and StairDesigner very well. Please ask on the forum if you need advice, or contact us direct for 1-2-1 training options. Set up your projects in a complex 3D environment. Polyboard can export your projects as 3DS files for direct import into the free version of SketchUp. StairDesigner can only export 3D DXF so you'll need the Pro version of SketchUp. The full Pro version of SketchUp allows direct import of DXF files from Polyboard or StairDesigner. Edit and enhance Polyboard and StairDesigner DXF files. Loads all DXF files for adding dimensions, changing and adding detailing, advanced printing options, and much more. We've linked below to some of the key support and documentation provided by the manufacturers of this software. Again, please feel free to ask on the forum if you need help, or contact us direct if you need a training package set up. Including quick start and user guides. Quick start guide to this drafting automation tool, plus tutorials, applications and basic dimensioning guidance.